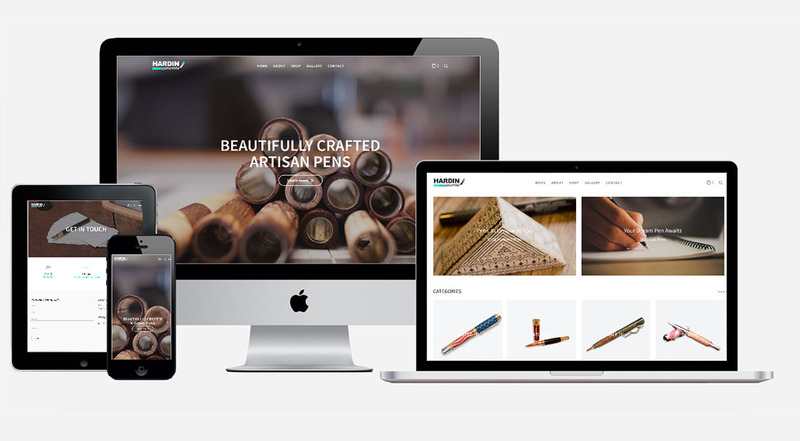 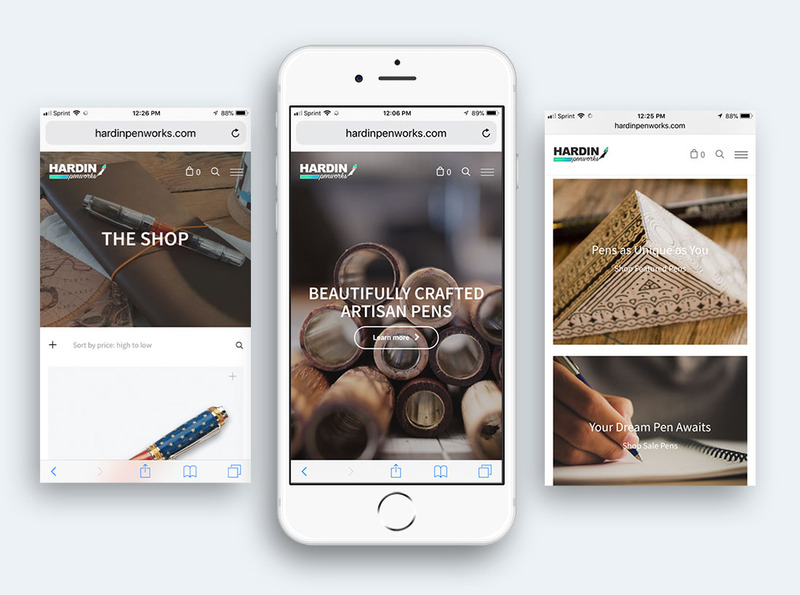 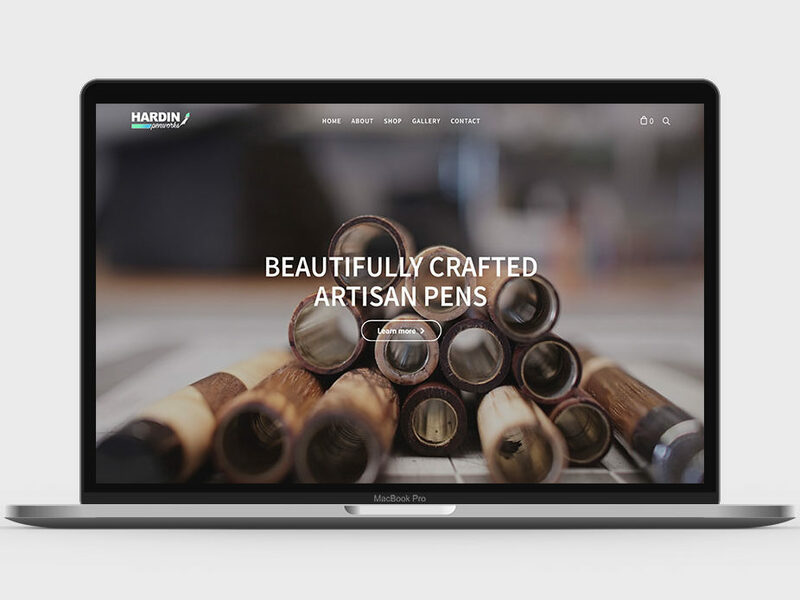 Artisan pen maker Michael Hardin was in need of a major rebrand and a newly renovated website to go with it. 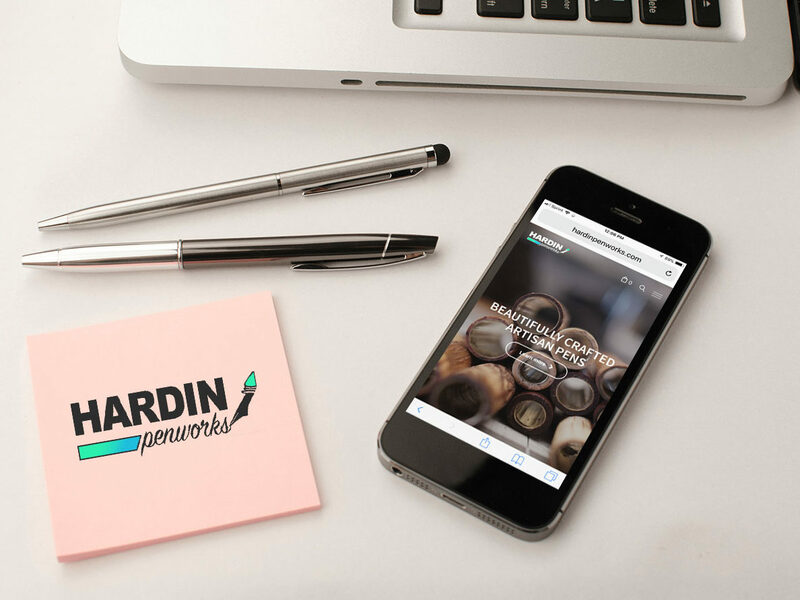 The business recently changed names from Hardin Brothers Woodworks to Hardin Penworks after the departure of his brother. 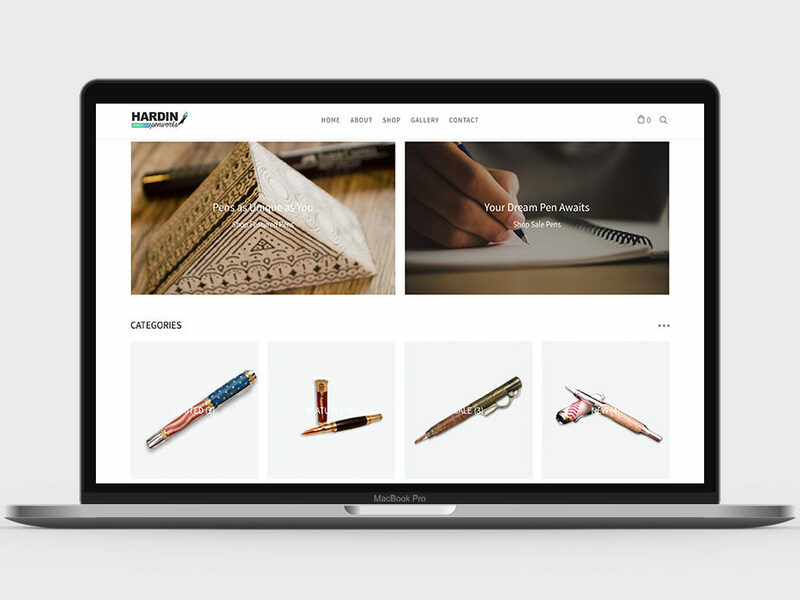 With a new name in place, the next step was an all-new logo with new brand colors, styling, and fonts… then the website could be started. 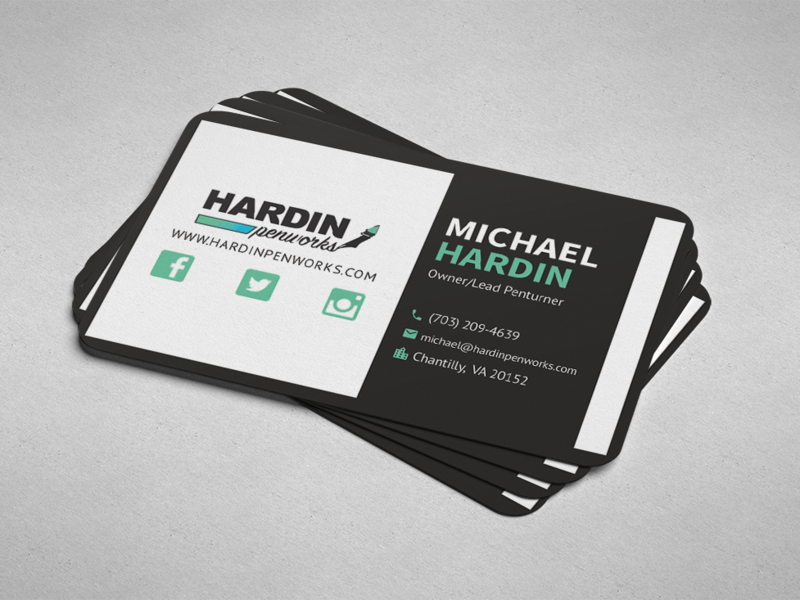 I experimented with several drafts before eventually landing on the logo you see here. 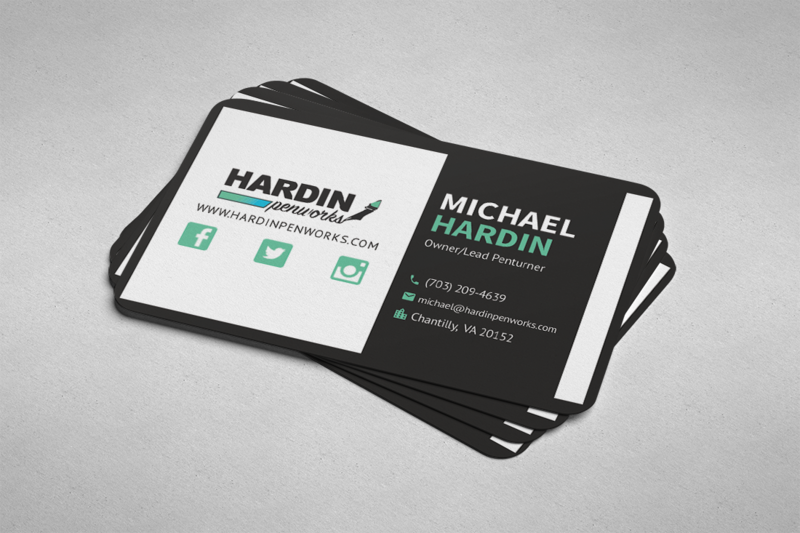 After this was in place, I began designing the website around it. 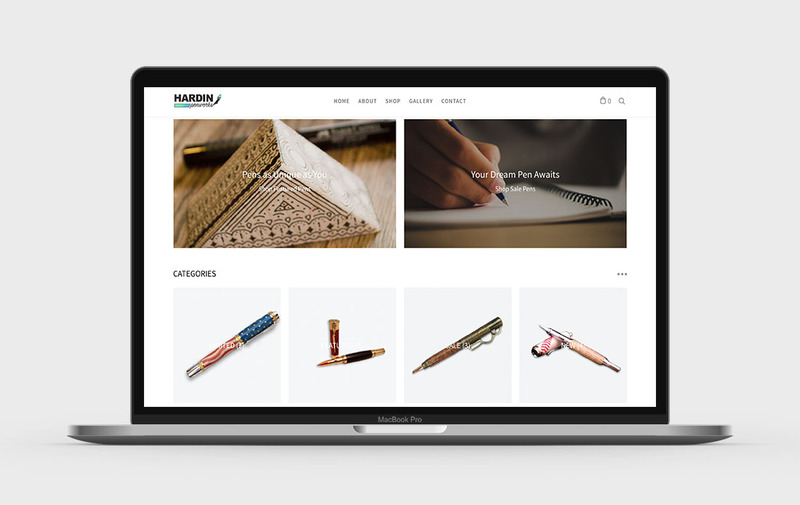 The new site, a beautifully designed, minimal, and simplistic experience was a much welcomed update from their old website. 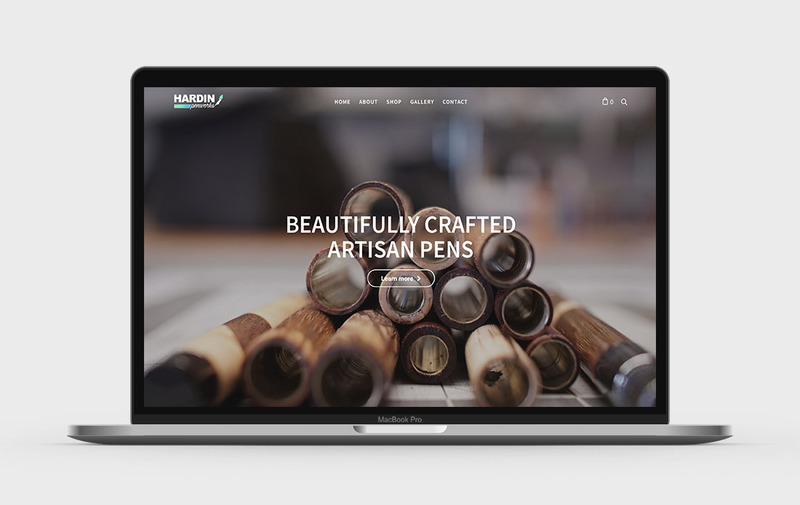 The new site does exactly what it needs to: tell people what they do and who they are, showcase their pens, and allow for convenient shopping directly from the site, making it extremely easily navigable and user friendly.